Water conservation is a hot topic amongst environmentalists, politicians, and big corporations alike. Every day, homeowners and businesses like American Water and Kinetico are becoming more invested in environmental conservation. But why is water conservation such a big deal? The truth about our planet’s most valuable resource, fresh water, is that it is a finite resource. Every living being, from animals and freshwater fish to plants and humans, requires a source of clean water to live. We’ve tapped natural springs, ponds, and glaciers (our largest source of bottled drinking water) to get to this precious resource. While the world’s population continues to increase and the climate at the poles continues to become steadily warmer, we become further at risk for running out of fresh water – unless we all become more conscious about our water consumption. Turn off the water faucet while brushing your teeth or washing your hands. When washing your hands, turn the faucet off while you’re soaping up. You can do the same while you’re brushing your teeth if you turn off the faucet while you’re scrubbing your teeth. Shorten your shower. Cutting your shower time down several minutes prevents gallons of wasted water. Use a timer to see if you can get in and out in a shorter amount of time each day. Set a goal to finish your shower in less than 10 minutes. Fixing plumbing and appliance leaks as soon as possible. Nothing wastes clean water as much as an ongoing leak. No matter how long the leak has been going, calling a professional plumber to take care of the leak as soon as possible not only helps conservation efforts, but saves you money on your water bill as well. 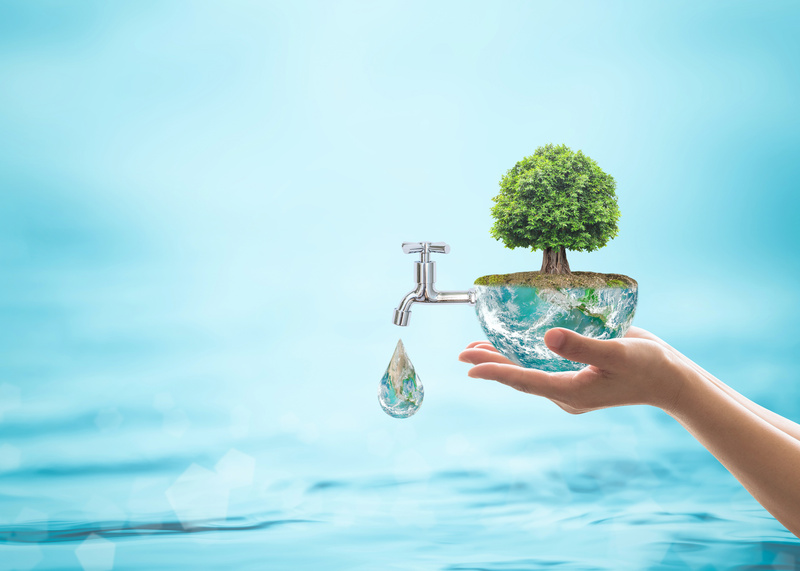 As a company, Kinetico takes steps to help conserve more water. One of the greatest benefits of a Kinetico water softener for your home or business is that it prolongs the life of your appliances and plumbing. Fewer leaks means less wasted water and less concern for costly repairs. Additionally, the dual-tank system only draws water when necessary, so it does not hoard and waste resources. Here at American Water, we’re doing our part to help water conservation efforts. Call authorized Kinetico dealer, American Water today at (512) 388-0022 to learn more about the cost and conservation benefits of Kinetico water softeners.